Perfect Money system operates with a kit of tools that is the most convenient for settlements between customers. The value of balance turnovers as well as the period of registration do not affect the privileges of using the opportunities of the system. Assigned to all new registered Customers without any applied limitations on the system use. Assigned to the Customer active for over 1 year or with a definite value of the balance turnover. To upgrade the Normal account a Customer has to send a separate request to the Customer Service. Premium status assumes that a number of commission fees is lower than customers with the Normal status usually have to pay. Assigned by the sole discretion of Perfect Money Administration to the partners to optimize B2B payments of the companies running their businesses via Internet. You may choose the sub-group of your account depending on the purposes and forecasted turnover: Personal, for the individual use, or Business. Is a convenient way to fund your account. Upon receipt of the transfer the crediting of money to PM account is performed within 30 seconds. Perfect Money system works with a significant number of e-currencies and, owing to this, the account funding can be performed by means of e-currencies. Such transaction can be performed automatically via merchants of these payment systems. Represent another way to fund your account. Multi-currency of exchange partners of Prefect Money and their time-proved reliability turns the funding of a system account into a simple and safe operation. Perfect Money accounts denominated in a specific crypto-currency is an excellent opportunity to store value. In contrast to crypto-currency wallets, Perfect Money accounts does not require technical expertise to setup and safely maintain. Storing value at Perfect Money accounts ensure that you avoid wallet associated risks that result in permanent loss of crypto-currency, such as hardware failure/theft and loss of password. Perfect Money team eliminate the challenges of crypto-currencies while allowing you to enjoy the advantages. For the convenience of Customers Perfect Money provides a possibility of account funding with any kind of e-currency. In this case Perfect Money will immediately conduct the transaction at the most profitable rate. Taking care of each customer Perfect Money system adds monthly interest to the customer’s minimum account balance. Your money works for you even when you rest. If account balance is not spent by a Customer, it is possible to withdraw money from the Customer's account by means of the tools used for depositing. For Customers whose business activity is connected with Internet Perfect Money system offers an optimal package of business solutions including convenient functional tools of settlements specially developed by the PM financiers while considering the needs of the state-of-art IT business. Get notified about new financial operations, view charts and real-time statement. This tool is designed to organize the monthly expenses of your enterprise; it allows payments in an automatic mode. Customers' online support works in a 24\7\365 mode. Our specialists are ready to answer any question that is of interest to you. Basing our opinion on the criteria of functionality, reliability and safety, we do not expect any analog of Perfect Money to appear in the next few years. The Perfect Money engineers have created such a tool which allows any business structure to organize any on-line process of product sales, services or access to content with the maximum ease and safety. Perfect Money enables our customers to send, receive and store securely Bitcoin assets. We provide safe and reliable platform to perform any transactions denominated in Bitcoins. You do not need to download and use a complicated and inconvenient Bitcoin wallet. Deposit funds to your Perfect Money B account and the system will take care of the rest. - online monitoring of security level and Customer’s protection performed by the security service of Perfect Money. This tool is used for identification of a PM account Customer. 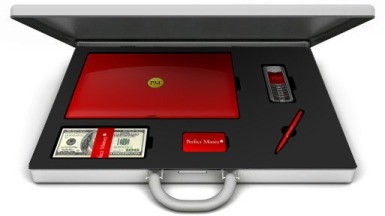 This instrument is a kind of an artificial eye for Perfect Money which does not necessarily recognizes someone by his/her face but provides the possibility to identify the computer used to enter the account. In case if the Customer authentication is performed from the net or subnet of IP addresses that are not related to the account owner, the system blocks the entrance to the account and sends an additional safety code to the e-mail specified during the account registration. The change of an IP address is made individually with the help of Perfect Money Support Center. This system is used for creation of a logical connection between the Customer account and his/her cell number to which the System sends a confirmation code to identify the real account owner. SMS Login system is the most perfect and reliable method of Customer protection from a non-authorized account entrance because the time spent on the whole operation of the code exchange and its entering into account is extremely short and insufficient for a cracking operation. The customer gets a card with a graphic picture of the code sent to his/her e-mail address. To confirm the transaction the system sends a Customer an inquiry on a random order delivery of the definite code from that card. CodeCard is a convenient and reliable protection measure to confirm transactions. It has proved itself in the majority of the most prominent financial institutions of the world. The democratic approach of Perfect Money payment system enables every Customer to decide independently which security settings he/she needs to use for his/her account. Every customer of PM makes a compromise with him/herself and chooses his/her own edge of convenience to use and protect the account from a non-authorized view or use. Perfect Money system is liberal to any Customer. We have created the most effective tools for your financial control and we hope to give our Customers a free hand in forming of their own monetary policy. Every Customer is very important to us and the fact that you have chosen Perfect Money entitles us to provide our Customers with the maximum opportunities to control their accounts without any fear of being blocked. The task of the Perfect Money security system is to provide the maximum opportunities to our Customers for construction of the multilevel security system for their finances. The security system together with the scientific research department of Perfect Money not only constantly develops new security systems, but also has at its disposal a group of specialists for modeling all possible methods of system cracking in order to use this information in the future for the construction of digital bastions around the system. For our Customers on the other side of the computer screen Perfect Money has created a financial corporation with thousands of possibilities hidden behind the only tiny door - login field on the main page. So, it's high time to open this door and to discover the universe of Perfect Money!